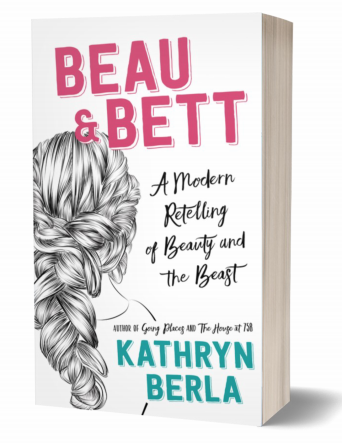 Coming this June, from Amberjack Publishing, award-winning author Kathryn Berla's BEAU & BETT. They are calling it a modern retelling of the classic Beauty and The Beast. 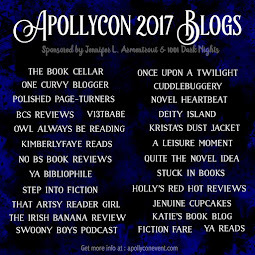 OUaT will be posting a review closer to publication time. Here are more details on Berla's latest novel. 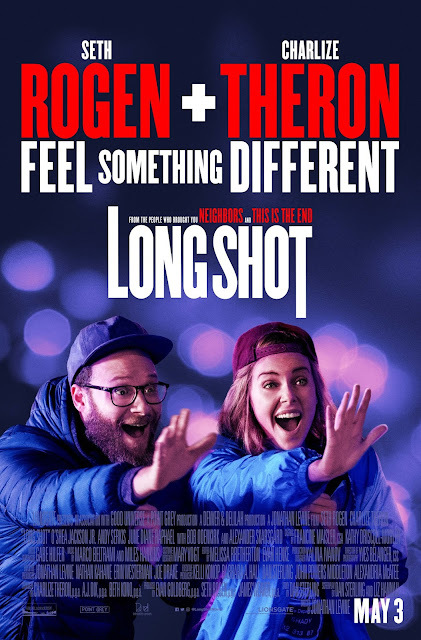 Grab your passes to the screening of LONG SHOT in these Florida cities on April 29th! Synopsis: Fred Flarsky is a gifted and free-spirited journalist who has a knack for getting into trouble. Charlotte Field is one of the most influential women in the world -- a smart, sophisticated and accomplished politician. When Fred unexpectedly runs into Charlotte, he soon realizes that she was his former baby sitter and childhood crush. When Charlotte decides to make a run for the presidency, she impulsively hires Fred as her speechwriter -- much to the dismay of her trusted advisers. Everlife brings the conclusion--the end of this unique, fantastic trilogy. The Everlife trilogy has truly been a breath of fresh air. Tenley Lockwood is such a unique character. Being a young adult with the weight of the world on her shoulders, she handled it as any other teenager would. With maturity (with flickers of immaturity) and indecisiveness. After all, who wants to make such a life changing decision without some deep thought? Especially when that decision could destroy a whole realm. The evolution of Ten and Killian was...definitely a journey. After a rocky journey down a forbidden path, they do the one thing that seems right--bonding to each other. Not only because of the love they share but because if Tenley wants any chance at getting into Many Ends again, Ten needs to bond to Killian. For better or for worse. Things don't turn out quite as they planned and she finds herself with an extra enemy. Victory is not in sight and it feels like fighting a losing battle. But they cannot give up...the other path is not an option. Very rarely am I happy with trilogy endings. I'm not a huge fan of cliffhangers, open endings or huge tragedies that bring the story to an end. I don't think I've been as happy or content after finishing a series before. Seriously. 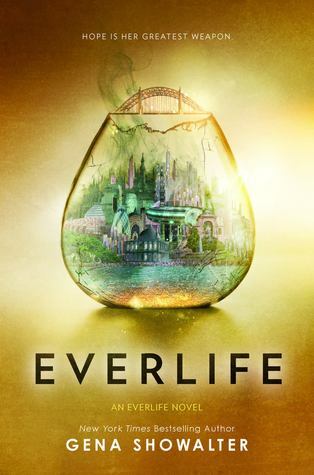 You cannot read Everlife if you have not read the first two installments but I will keep this review short and sweet to avoid any spoilers. The end of Firstlife brought Tenley's Everlife. With dying breaths she announced her eternal loyalties to Troika, the realm of the light. Tenley is happy with her choice--she knows she's chosen the right side, even if made her enemies with a unforgettable young man. Killian is a Myriad, belonging the realm of darkness and Killian is out of reach. Their blossoming relationship ripped away from them both when Tenley chose the other side of the battle. The pending romance between Ten and Killian is confusing but very intriguing. How can they possibly progress with any relationship on opposite sides of the war? Was their romantic connection authentic or was it all the role Killian played for his job? It's a love story that was doomed before it even started. Forbidden romance at its finest. The energy and drama became more dominant in Lifeblood, the war bubbling at the surface. Not only does Tenley belong to the realm of the light but she harbours a rare ability to absorb and share light--something that could destroy Myriad and lead Troika to victory. 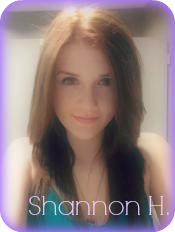 For someone so young with the mental maturity of a typical teenager, she's got the fate of the world on her shoulders. Literally. Lifeblood was an emotional rollercoaster. It brought out the ugly cry (I'm still not over it). 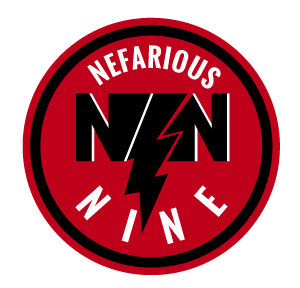 With the raging war nobody is safe. Friends turn to enemies and Tenley doesn't know who's fighting the good cause and those who are plotting her downfall. 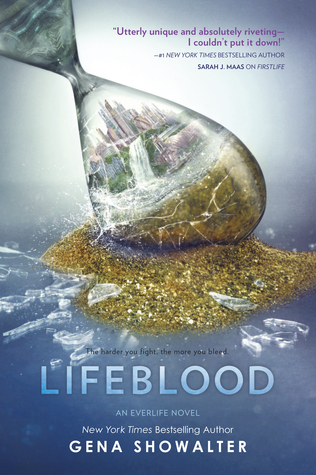 Lifeblood was an excellent edition to the series. 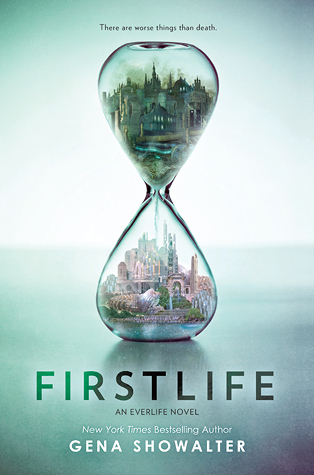 Firstlife was the start--the introduction to the world and Tenley's crazy life but Lifeblood built up the drama and emotions and here we got to know the characters and begin to love them. Every plot twist, betrayal and unexpected moments was like a personal shot to the heart. 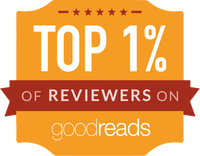 I enjoyed every minute of reading. 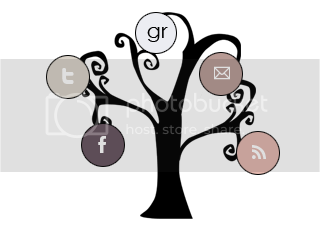 Firstlife is another success from the wonderful Gena Showalter. It's unlike any of her other works--but that's the beauty of Showalter's novels. No two series are the same. She brought us demons, aliens, zombies, angels and now she brought us a dystopian, fantasy trilogy. It took me longer than normal to get into Firstlife but that isn't because it wasn't a good read but because the author has created a whole new world with an unfamiliar hierarchy system. It's brilliant to have such an imagination to build an entire world in your own mind. Firstlife follows the life of Ten Lockwood--the girl who has spent more than a year in an asylum, which was her price to pay for not letting her parents choose her life after death. Both Troika and Myriad --the rivalling Everlife realms-- will stop at nothing to recruit Tenley onto their side of the war. There's a good side and a bad side but figuring out which one is which is the problem. Tenley has to stay alive long enough to make a decision because the other option, a Everlife filled with a nightmare reality isn't an option. But staying alive is a lot easier said than done when she's on the run with someone determined to make sure she dies. Ten is a solid character and strongly stubborn (which was actually her saviour in the end). 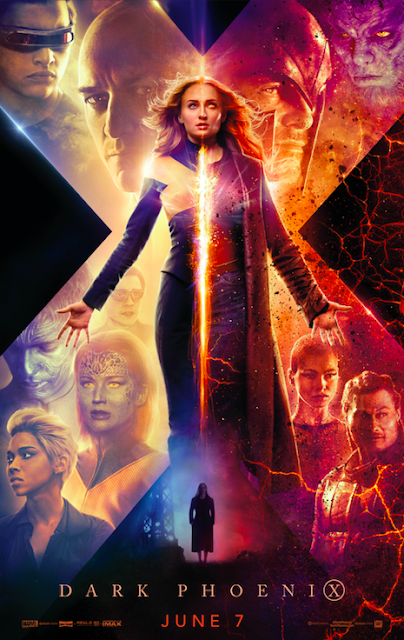 She had many admirable traits from being fiercely loyal to standing up for what she truly believes and that made it even more of an exciting read because throughout I really didn't know what was going to happen or which side she would choose. We were also introduced to Archer/Bow and Killian. Archer is a firm favourite-- I don't believe he will be a love interest but he is hilarious and I hope we get to know him more. If you're looking for a solid read, you've found it. A unique and gripping novel from an author we all know and love. I would also like to add that the audiobooks for the Everlife series are fantastic. Read by Emma Galvin (who is also happens to be my favourite narrator) and Zachary Webber.